McDonald's is tweaking its fabled Dollar Menu to try and rise out of its sales slump. 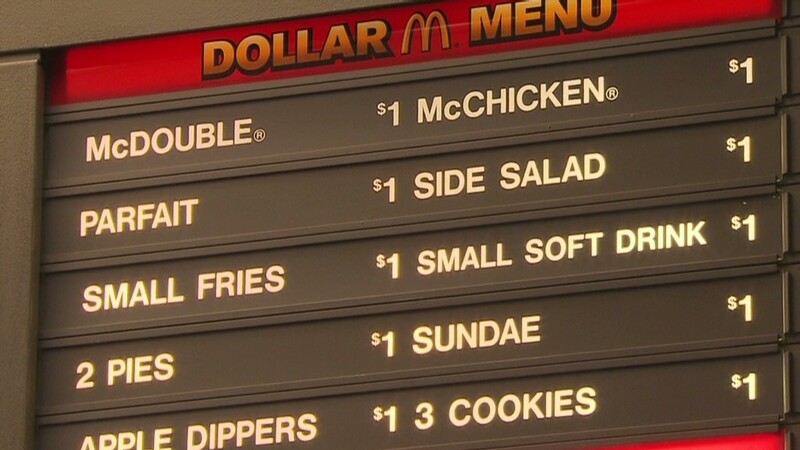 McDonald's (MCD) renamed the menu Dollar Menu & More. Some of the items will still cost a dollar, but other items will cost more. It sent this tweet from its official account on Wednesday: "Dollar Menu fans, don't worry...our new Dollar Menu & More will offer many options that are still $1 and some new choices too!" The new menu will officially roll out on Nov. 4, according to a McDonald's spokeswoman, who said it will include some new items, which she declined to identify. McDonald's could use a revenue boost. Last week, the fast food giant reported disappointing same-store sales, up less than 1% worldwide for the quarter compared to the prior year. The company fared particularly badly outside of the U.S., with same-store sales dropping 1.4% in the Middle East, Africa and the Asia/Pacific region. Operating income plunged 12% in China, Japan and Australia because of an "ongoing challenging environment." In test markets like New York City, a similar menu called the Extra Value Menu & More is already available. A worker at a Manhattan restaurant featuring an Extra Value Menu & More said it's been on offer since at least February, when he started working there. Most of the other items cost a dollar and change, including the McDouble and McChicken, which each go for $1.69, and the four-piece McNugget, which costs $1.59. The prices climb higher from there; the double cheeseburger costs $2.19 and the McFlurry is priced at $2.89. The most expensive item on the Extra Value Menu & More was the 20-piece McNugget for $4.99.